This is the perfect spring salad. It is fresh and delicious and ultra clean. It’s the perfect thing to bring to the first BBQ of the year! 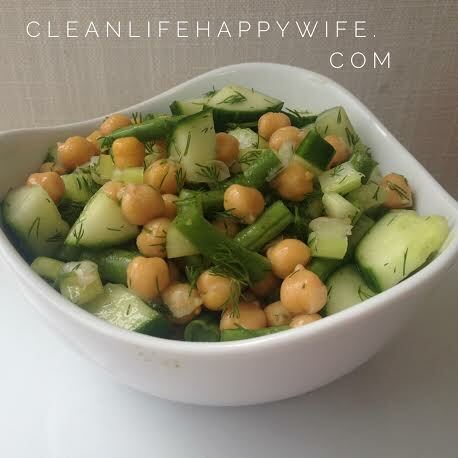 Mix chick peas and all chopped veggies together. Add dill and squeeze fresh lime and mix well. Let sit in refridgerater over night to let the flavour develop (or at least for 1 hour). Thanks so much for sharing such great recipes! I really enjoy trying new ones you share. This is probably a silly question, but are the green beans raw or steamed in this recipe?